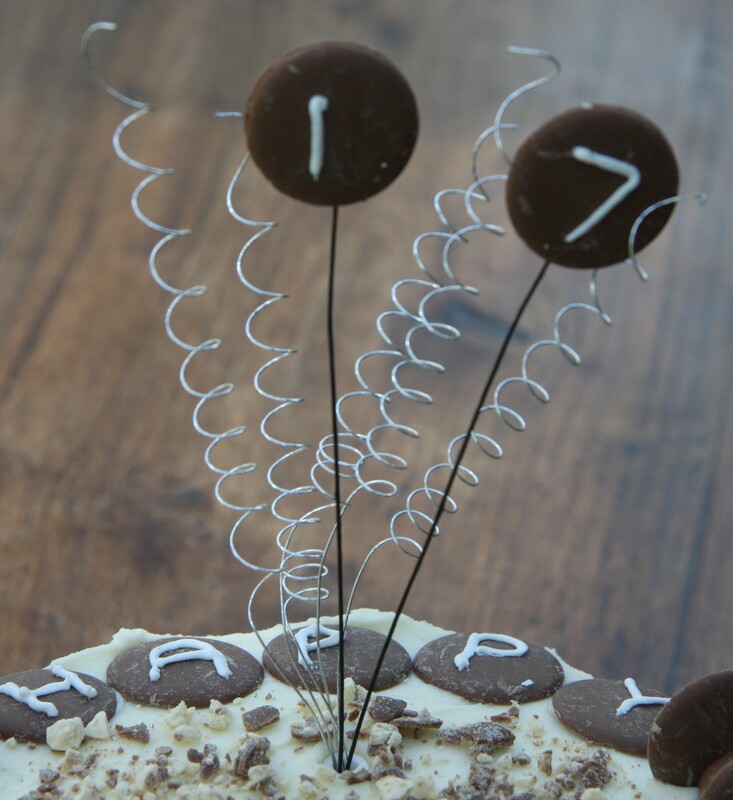 There are so many different ways to use chocolates and candies to decorate cakes and you can get a different look depending one how you choose to use them. Mia’s cake was a three layer vanilla sponge while Margaux’s was a three layer chocolate one. I used Maltesers as a border round the base for both of them. Chocolate cake, white icing and a splash of colour make a great combination, especially when the cake is cut. I used freeze-dried raspberries for taste, texture and colour on the top along with some tiny pearly hundreds and thousands and some red glitter. 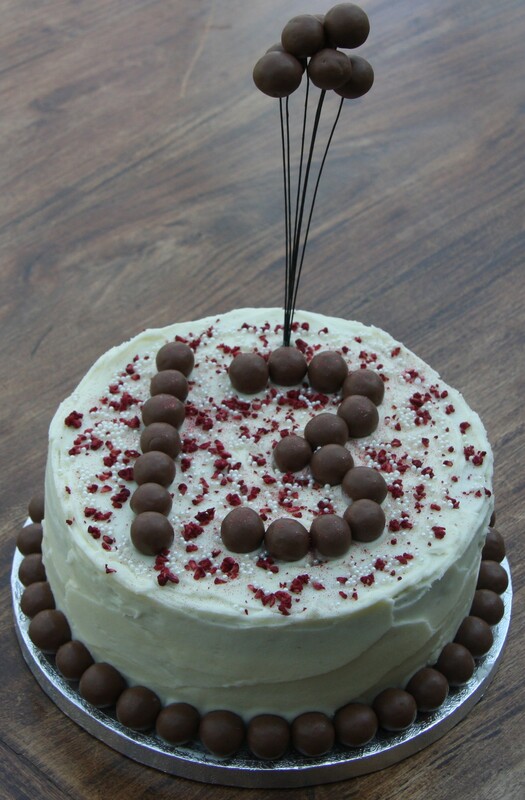 And of course the Maltesers for the number and the topper. 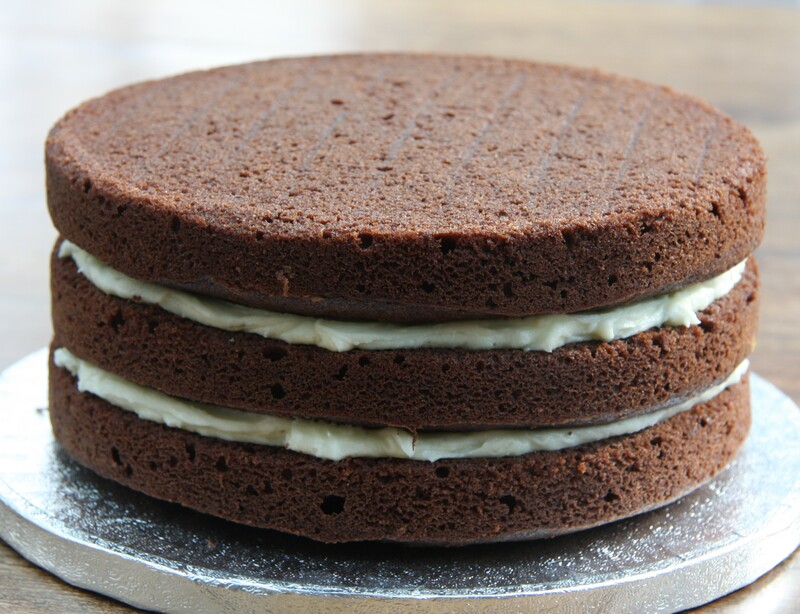 If you want to cover a chocolate cake with white icing it is very important to cover it with a very thin layer of buttercream before covering it with a thicker layer. 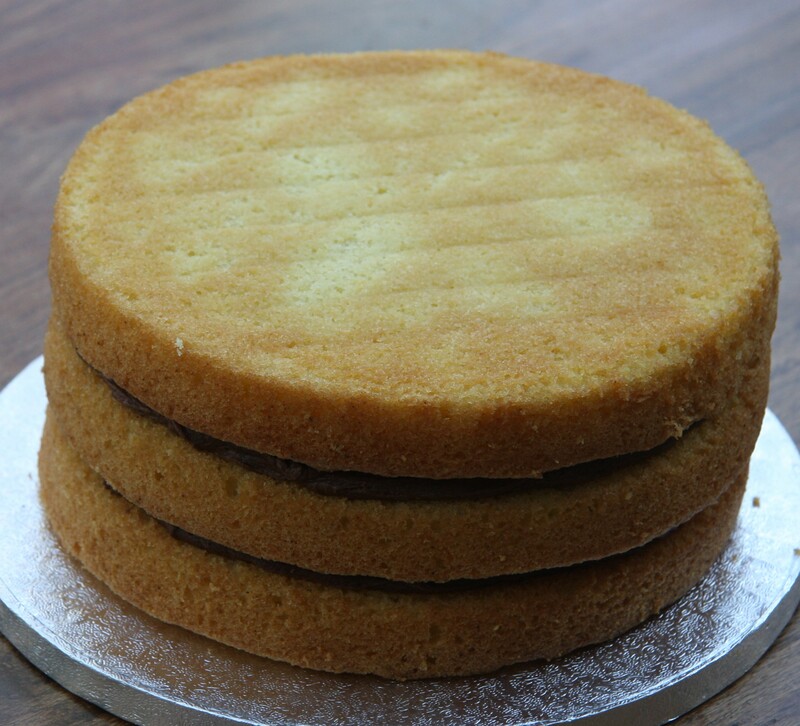 This is sometimes called a crumb coating and will trap the stray crumbs to keep them out of the top layer of icing. It’s a good idea to do this every time you cover a cake in buttercream unless you are going to cover the buttercream itself somehow. 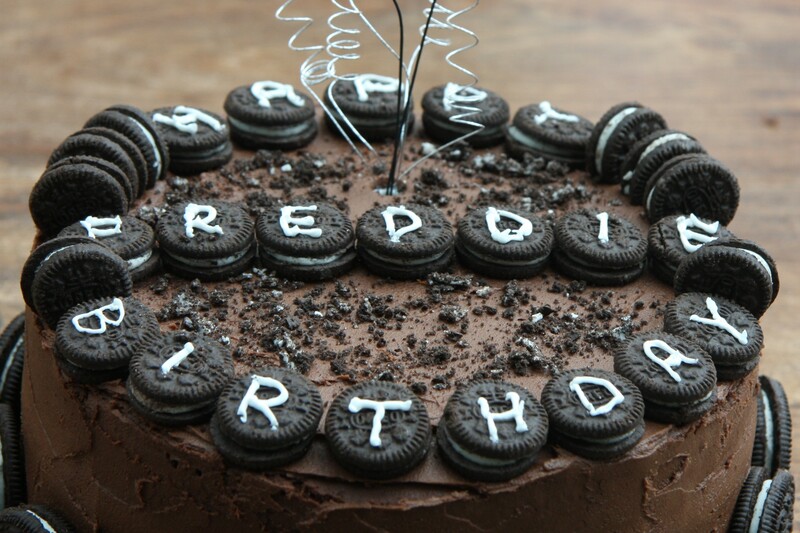 However, because I was also making a cake for Mia and I thought hers would look better with iced sides, I decided to do the same with Freddie’s Oreo cake. So I did the reverse with the icing. 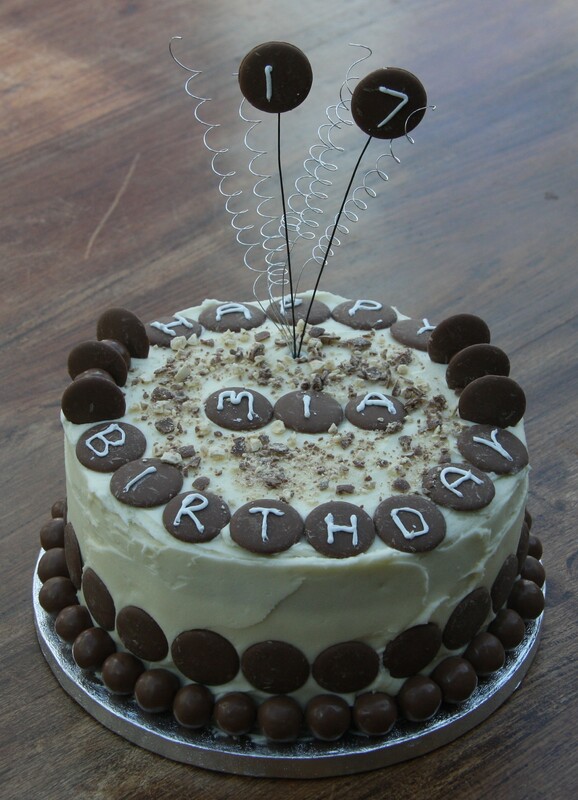 Freddie’s cake was chocolate sponge sandwiched with vanilla buttercream and covered with chocolate buttercream; Mia’s cake was vanilla sponge sandwiched with chocolate buttercream and covered with vanilla buttercream. 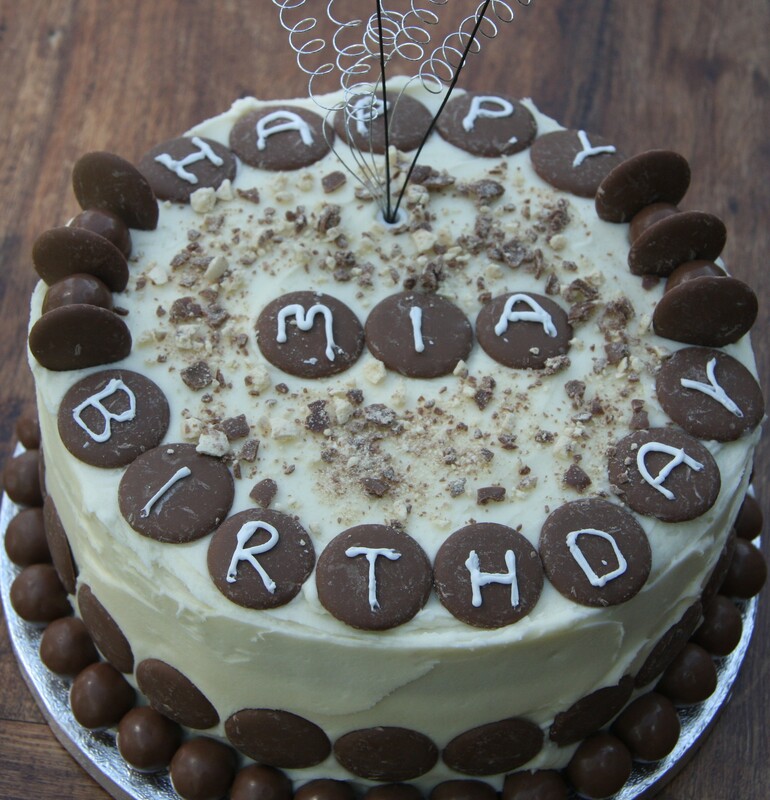 I used crushed Oreos to decorate the top of Freddie’s cake and crushed Maltesers for Mia’s. 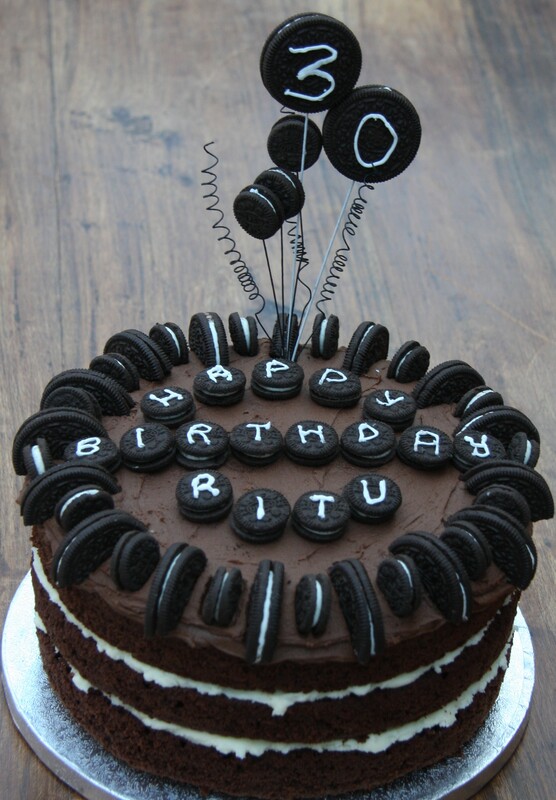 The mini Oreos make a great topper as you can just slide the floristry wire into the cream centre. It took a while to work out how to do the same thing with the chocolate buttons. I tried gluing the floristry wire to the back of the button with royal icing but that didn’t work. I considered using melted chocolate. And then I had the bright idea of sandwiching the floristry wire in the middle of two buttons glued together with royal icing, a lot like a mini Oreo. I really enjoyed making these cakes so thank you very much to Kylie and Leslie, and Happy Birthday to Margaux, Mia and Freddie! 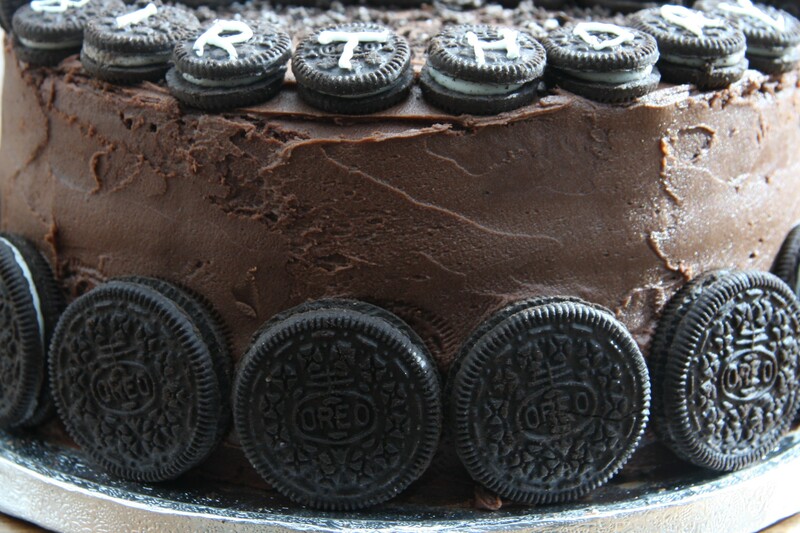 Oreo insanity, I love it! YUM!